Epson has all its bases covered at the ISE show in Amsterdam this week, showing off new compact laser projectors that are its smallest yet to offer interchangeable lenses, as well as a big 30,000 lumen model. The Pro L series of projectors will offer six different models intended to serve the corporate, education, exhibition, hospitality, and house of worship markets. In total, the family covers XGA, WXGA, and WUXGA resolutions, and output ranging from 6,000 to 7,500 lumens to fit a variety of needs and price points. The line's flexibility is further bolstered by Epson's current interchangable lens portfolio, with 10 models ranging from ultra short throw through long throw. The ELPLX01 UST lens is said to be an unusual problem solver: with a .35 throw and a reflective tunnel that direct the beam up and out like a periscope, it allows the Pro L projectors to be placed close to a wall with an inverted ceiling mount and function like any UST projector designed for rear-facing projection. 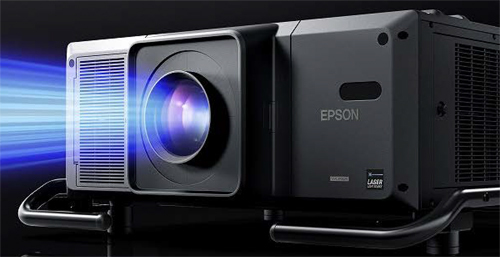 These being Epsons, the Pro L models are of course 3LCD projectors, and all are equipped with Epson's 4K enhancement technology and Super Resolution technology to sharpen images. An integrated HDBaseT interface and HDMI-CEC functionality are also on board. The projectors's wide lens shift (to better accommodate large venues) and quiet fans are another installation plus. 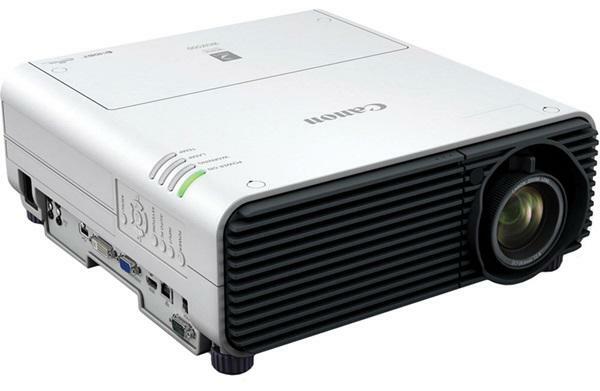 A built-in edge-blending feature allows two or more L series projectors to be quickly joined into a single larger image. At the other end of the scale, the new Pro L30000U, at 30,000 lumens, is Epson's brightest projector ever. Geared at the live event market as well as for permanent installations, it's a follow up to last year's 25,000 lumen model L25000U and offers similar features. Among them is a sophisticated color-matching system that uses a CMOS camera on the front fascia to monitor the projector's output and automatically correct color inconsistencies between multiple projectors or those that arise due to screens that have aged and become unevenly colored over time. The function can be utilized prior to projection mapping or tiling to insure a perfectly uniform image. Finally, a 9,000 lumen model was added to fill out Epson's Pro L1000-Series, which ranges from 6,000 to 15,000 lumens and serves the rental and staging markets. The new Pro L projector models are slugged for Fall 2019 availability, with pricing to be announced prior to launch.